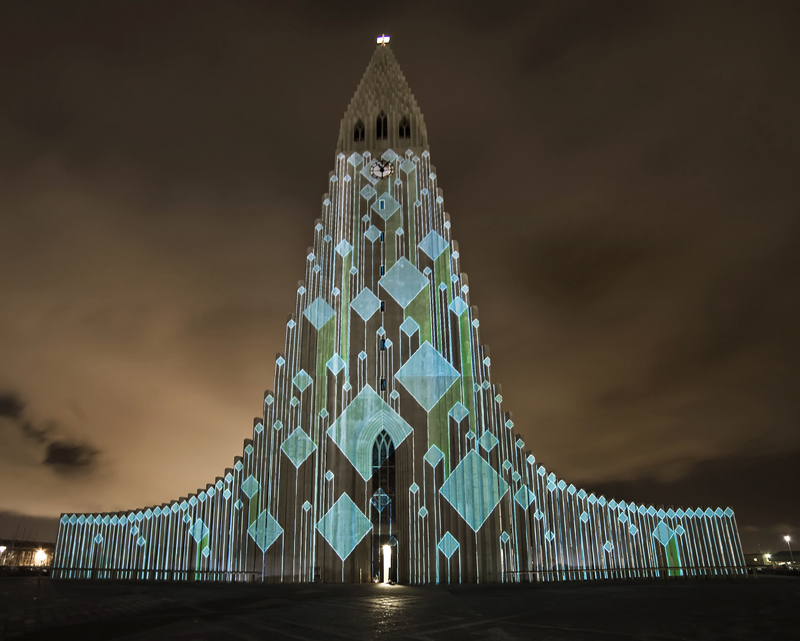 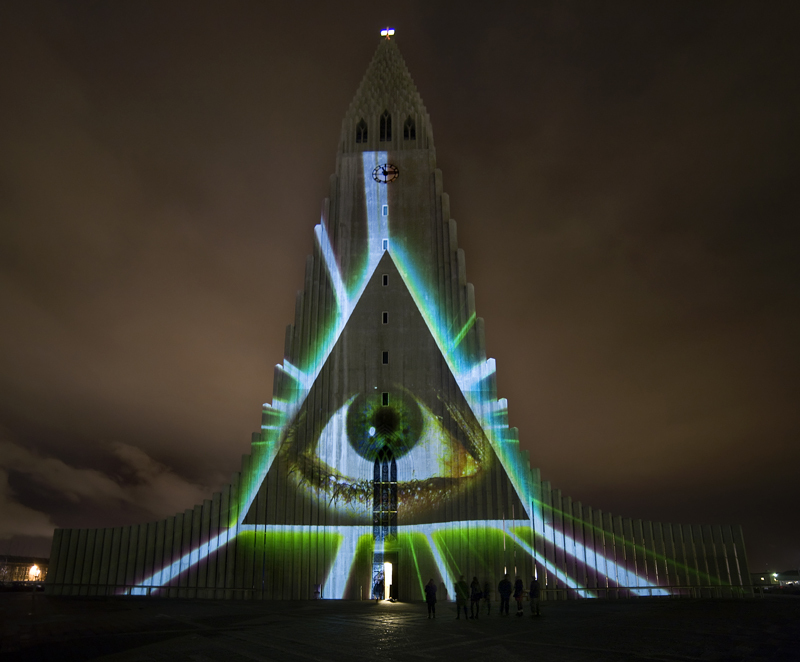 Rafmögnuð Náttúra is a temporary, site-specific installation that animates the facade of Iceland’s Hallgrímskirkja Church. 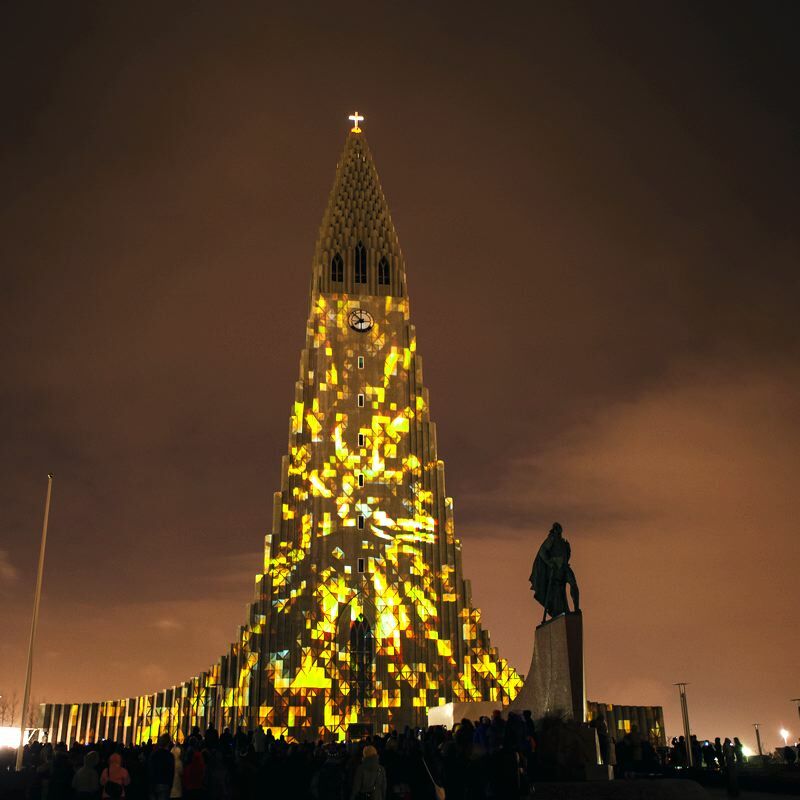 Inspired by the extreme natural conditions of Iceland and working with the unique architecture of the building, the static condition of this iconic landmark is transformed into a community-engaging audiovisual experience. 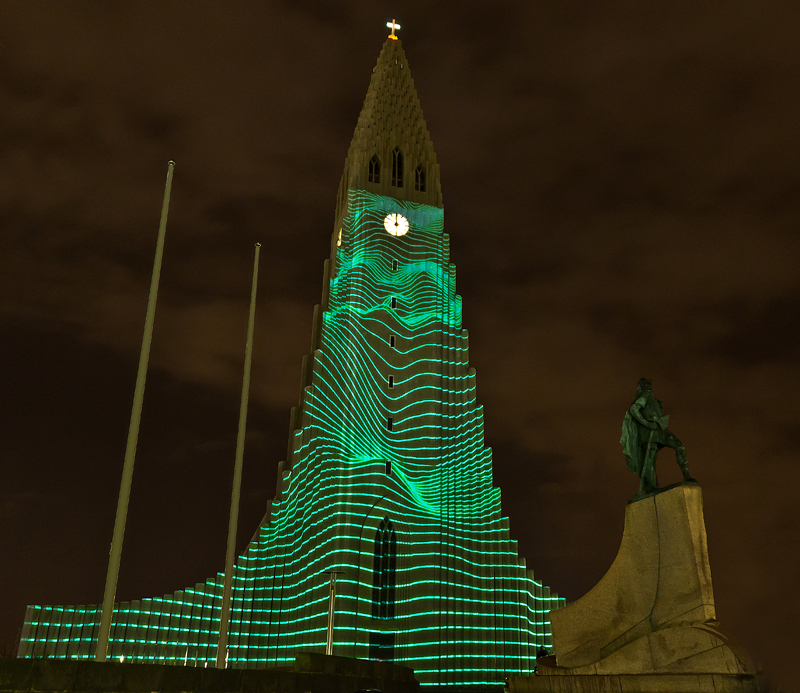 Rafmögnuð Náttúra was selected as the winner competition entry for the Reykjavik Winter Lights Festival 2012 opening act, which was organized by Höfuðborgarstofa, Orkusalan and the Iceland Design Centre. 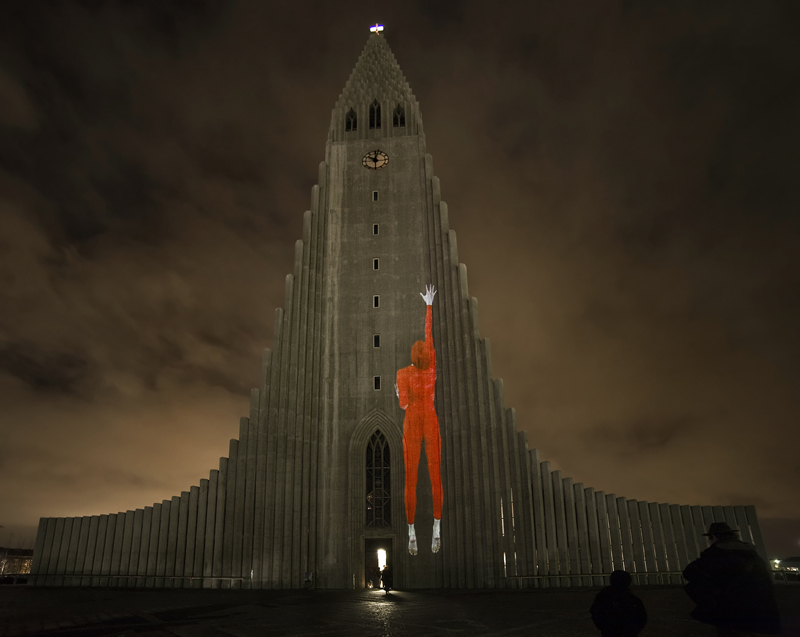 The collaboration of different media artists, and a strong attitude towards a multidisciplinary approach to their artwork, formed the central core for the success of Rafmögnuð Náttúra. 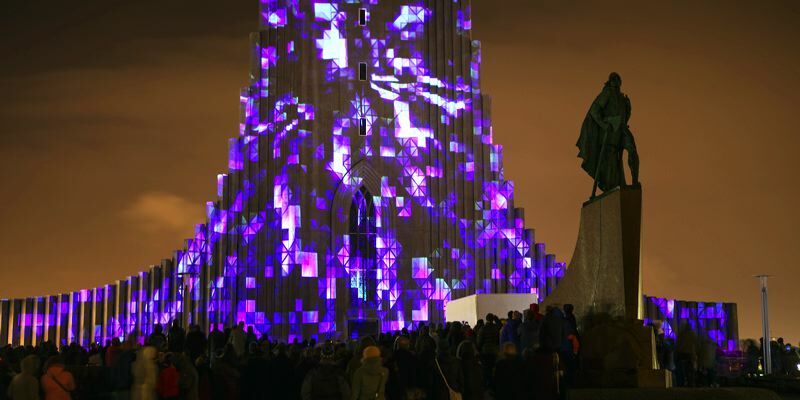 The project provided a unique opportunity for exploring new collaborative processes for creative production, in which a team of architects, designers, visual artists, musicians, dance performers and video artists were brought together to share their particular tools, art techniques, and design methods towards a unified vision.